SAN FRANCISCO—The Joint Working Group for California’s Language Access Plan invites public comment on a draft statewide language access plan for limited English proficient (LEP) court users. 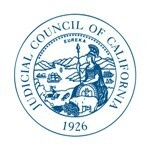 The draft plan sets specific goals for a consistent statewide approach to language access in the California courts and makes recommendations for the provision of language access services at all stages of a LEP court user’s interaction with the court system, from courtroom proceedings to ancillary events such as mediation, as well as other points of contact with the court like clerks’ offices and self-help centers. Roughly 20 percent of Californians–nearly 7 million–have some English language limitations, making it difficult to access courts without significant language assistance. The draft strategic plan is posted on the California courts website for public comment until September 29. Following the formal public comment process, the working group will revise the draft plan and present it to the Judicial Council for its review and adoption. The working group specifically sought out input on the draft plan from varied stakeholders, including members of the public, court users, bench officers, court executive officers and staff, court interpreters and interpreter organizations, attorneys, bar associations, education providers, and legal services organizations. To gain further input, the working group also held public hearings on language access earlier this year in San Francisco, Los Angeles, and Sacramento. Agendas, comments, and archived audiocasts from the hearings are posted on the joint working group’s webpage. For more information about Language Access, visit the California Courts website at: www.courts.ca.gov/languageaccess.htm.